Two track workers with 15 years' work experience between them told the Daily News history could have repeated itself because loose rails strewn in the middle of A and C line tracks between Manhattan and Brooklyn were not secured in any way. 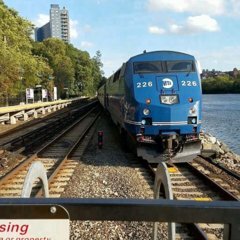 "Out of an abundance of caution we had crews immediately inspect the area, further secure the rails in question, and confirm there is no safety risk," MTA spokesman Shams Tarek told The News in a statement. "The rails were all over the place, on the trough, on the side," said one of the workers, who requested anonymity to discuss sensitive work issues. "Some of them were pretty precarious." "You have that train coming through there at quite a good clip, and if one of those joint bars should vibrate and (the rail) falls, that's going to create a nightmare situation," said the second track worker, who also asked not to be named. 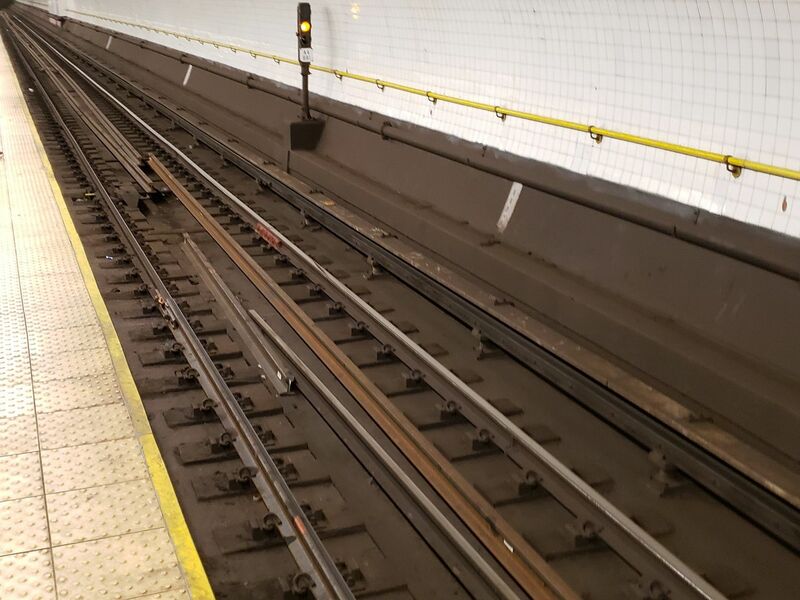 "You could have the exact same situation as 125th St."
The pieces spotted Friday included continuous welded rail, which is longer and sturdier than regular rails, along with shorter pieces that have a greater risk of moving from a passing train's vibrations. That might explain the heavy delays and the "urgent track maintenance" during the height of the rush last Friday. This "phenomenon" doesn't seem all that new though. If they cause such issues why have them there in the first place... That said, I know that the was sued for the last incident. I'm shocked that they'd risk it again. They are usually very diligent about trying to avoid lawsuits. Couldn’t they dig the center portions between the tracks a little deeper since the MTA always seems to be short on storage space? No, to do that would mean cutting through the floor of the tunnel. It’s not worth the cost. So they slow the trains down and put timers on tracks in the interest of safety, but leaving rails unsecured so they could potentially derail trains (again) is no big deal? Sometimes, the things done can puzzling. That’s a slow area, not like 125th S/B. There is little to no risk of the same situation occurring here. Also, for a section or ribbon rail to start bouncing, you’d need an Acela to pass through the station at speed.